Sakura or Cherry Blossoms symbolizes Spring. They bloom for a very short period of time, around 2 weeks. In Japan, cherry blossom viewing or Hanami is a tradition that has been practiced for centuries. They usually go with family and friends to view the flowers and celebrate by picnicking under it’s branches. I was fortunate enough to experience this when I became an exchange student to Japan during my Junior year in High School. Cherry blossoms are not indigenous to Japan, they grow and flourish in countries in the Northern Hemisphere. Here in the United States there are numerous parks where you can enjoy cherry blossom viewing. The most popular are the ones lining the edge of the Tidal Basin in Washington D.C. These cherry blossoms were said to have been a gift of Japan to the United States to celebrate their growing friendship. 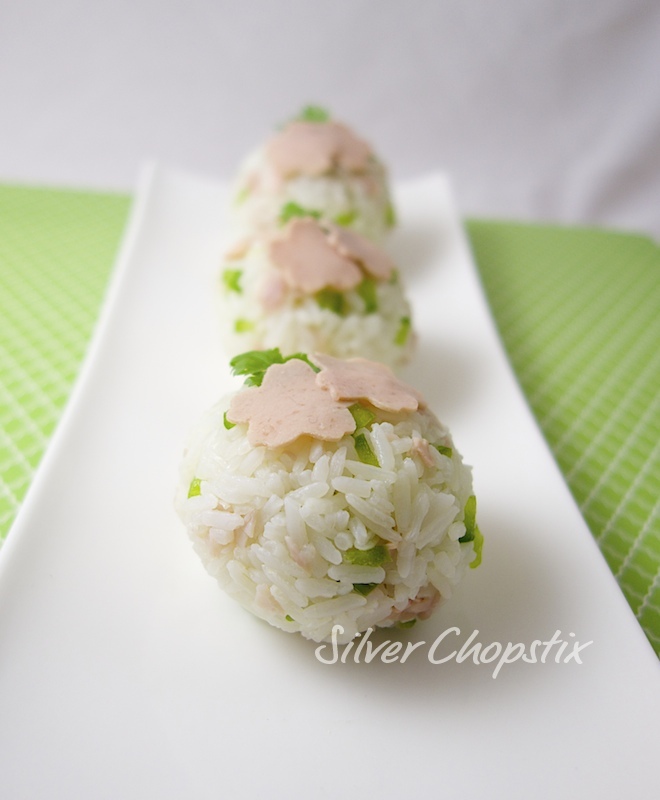 As a sign of the return of Spring I decided to make this Sakura Onigiri. This is very simple to make. 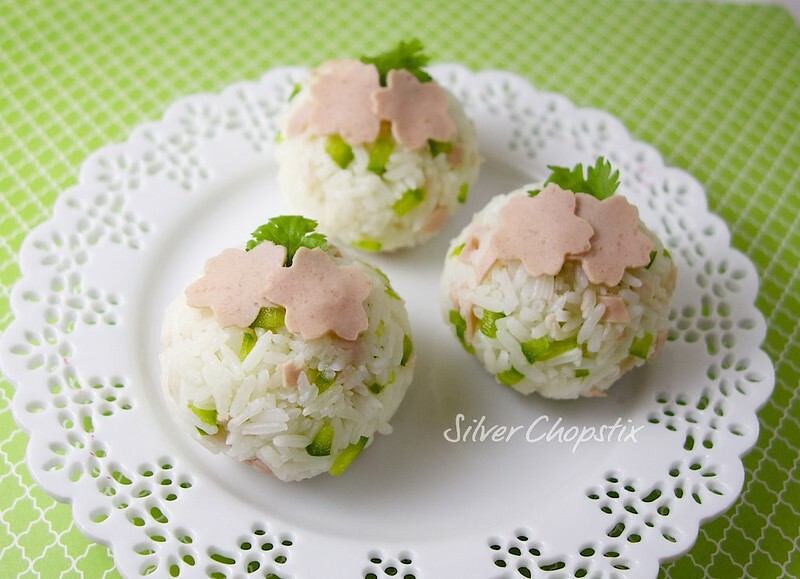 You will need steamed white rice, finely chopped green pepper and finely chopped ham. You can also use bologna or salami if you prefer. 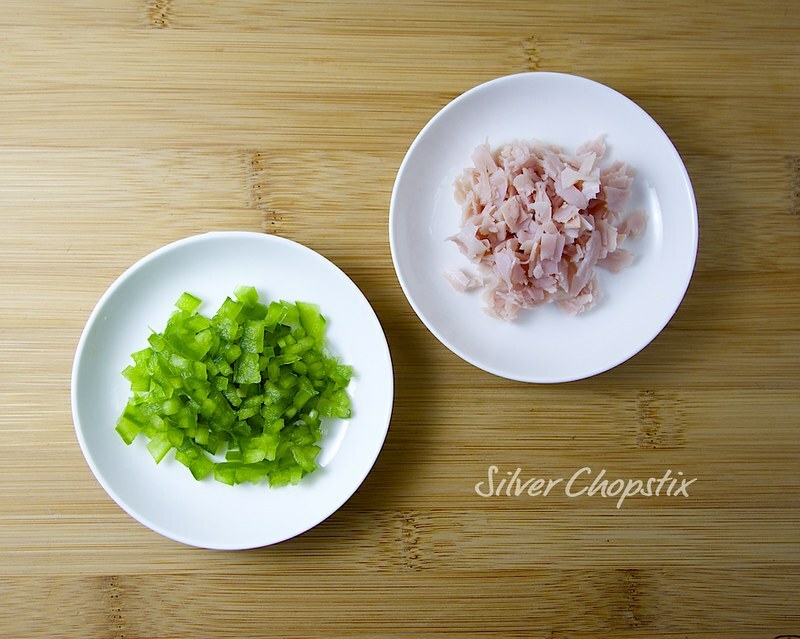 Just add your green pepper and ham to your rice and gently fold until everything is well combined. 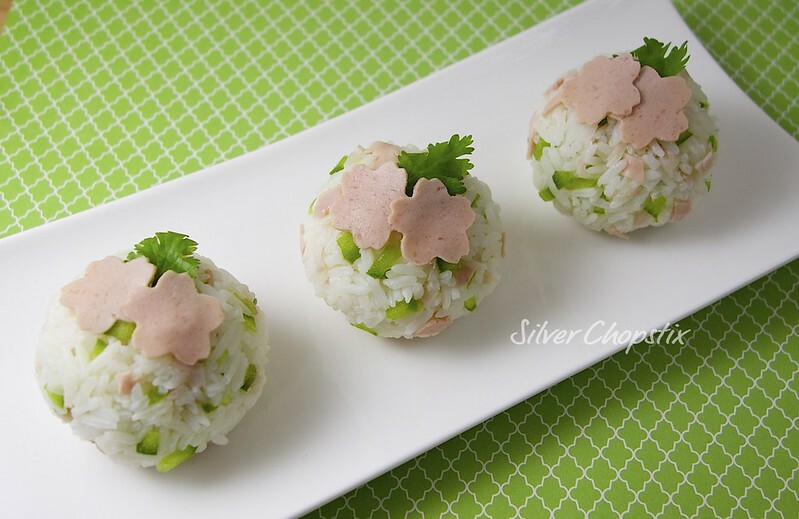 Get a piece of plastic wrap and place a small scoop of your rice mixture in the center and gather the edges to the middle and twist to make a ball. To decorate, I used a vegetable/fruit cutter to create small flowers from a slice of bologna and I added a piece of cilantro leaf for a touch of color.